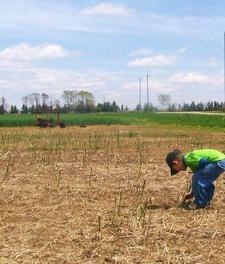 Welcome to Barrie's Asparagus Farm & Country Market! 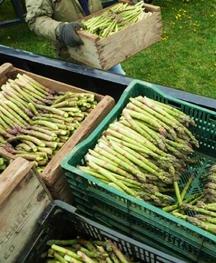 Barrie's Asparagus & Country Market is nestled in the heart of Waterloo Region. We are the fourth generation producing high-quality foods on Cedardale Farm. As 4th generation food producers, we are proud to carry fresh local produce, meats, cheese, honey, maple syrup, grains, baking, preserves, eggs, dairy, & more. Our Century Farm & Country Market is open daily, year-round. We offer innovative products featuring our asparagus - come and enjoy the health benefits of this super-food, all year long. We also carry gluten-free foods and fresh, local produce grown & raised by neighbours we know & trust. ​Farming is our passion - nothing makes us happier than introducing new folks to our farm and family. We hope you can visit Barrie's Country Market soon! Our Country Market is open year round! FOR FARM FRESH LOCAL FOODS. Get to know the people who grow your food - we look forward to meeting you!